Scheduling note: FantasyDraft is running 2 slates today: the early, Turbo slate, which comprises the 4 p.m. to 7 p.m. Eastern games (6 of ’em), and then the later, Main slate, which are the 7 p.m. and later games (8 games). The 1 p.m. game, Marlins at Pirates, doesn’t count on FantasyDraft today. Also, the Cubs and Nationals are playing a double-header, and the 3 p.m. game doesn’t count. I’m going to concentrate on the Main slate but try to give you options for both. Stacks of stacks: The Astros have dominated lefty pitching pretty much all season, and here’s hoping today’s no different, as they take on Boston’s Eduardo Rodriguez… in Fenway. Good luck, Eduardo Rodriguez! The Cards are ranked 5th in MLB against LHP (.766 OPS) and face lefty Matt Boyd (4.24 ERA, 1.13 WHIP). Lastly, in terms of hitters to target, you will note the sweet, sweet words (well, 1 word, 1 symbol) “[email protected]”. This should be a good one between two division rivals in a, shall we say, hitter-friendly park. As specific examples of Astros, Red Sox, Dodgers and Rockies bats to take on in your stacks, Hittertron suggests you consider Mookie Betts ($10,400) and Jose Altuve ($8,400) in the Turbo slate for your IF and OF, respectively. For the Main slate, Manny Machado is ranked number 1 overall today, and he’s probably worth the $10,200 (<cough>) he’ll cost you on FantasyDraft, but maybe you’d also like to look at the slightly more reasonable Matt Kemp (ranked 4th overall today) or Nolan Arenado, both at $8,900. Jack Flaherty, SP: $21,400 – (Turbo) A pitcher-friendly match-up in a pitcher-friendly park: what more could we want? How about a 1.80 ERA and 1.60 WHIP over the last week (2.83 and 1.04 on the season)? Here’s the caveat: he did issue 5 walks in his last outing versus Washington and could only go 5 innings. We do not love that, but I think today’s going to go better. In the Turbo slate, pair him up with…I actually don’t know who to pair him up with. Seriously. I’ve been staring at the choices for about 5 minutes. I guess I’ll go with…Matt Harvey?! ($13,000). I hate myself. He’s in a terrifying park, but at least he’s facing the Padres, who are not so terrifying (other than Franmil Reyes; more on him below). Jose Berrios, SP: $15,100 – (Main) I’m a tiny bit nervous about this one, I’m not gonna lie. And I think FantasyDraft is dubious, too, given the price. He’s been homer-prone lately, giving up 5 ERs in his last start in Texas, and 3 versus Oakland at home in Minnesota. But those last 2 games were tougher match-ups. For today’s start at home, he’s taking on the 29th-place Kansas City Royals. And for the record, Streamonator ranks him 3rd on the day. Pair him up with Gio Gonzalez or Matt Shoemaker or even Syndergaard, if you can afford it. Matt Shoemaker, SP: $13,800 – (Main) When life gives you leather, make shoes, especially when you’re dealing with the White Sox. Shoemaker’s numbers in his 1 start since returning from the DL were so pretty, like the Johnny Fluevogs you always admire from afar (but have the wrong-shaped feet for, apparently. #notbitter): an ERA of 0.00 and a WHIP of 0.60 — in Texas, to boot. And oh yeah, Streamonator loves this start, too. Just do it. Gio Gonzalez, SP: $13,200 – (Main) I’m a tiny bit nervous about this one, part 2: Gio Gonzalez has been up and down this season, to put it mildly. He’s currently sitting at a 4.57 ERA and a 1.53 WHIP. So there’s that. However. Remember how earlier we were talking about teams that like lefty pitching? The San Francisco Giants do not. In OPS, they are 24th in MLB versus LHP. Plus he’s cheap, so you could pair him up a bigger-name pitcher, even Scherzer. Scooter Gennett, IF: $9,800 – (Turbo) One of my favorite names in baseball just keeps on doing one of my favorite things: hitting the baseball. His numbers this week are absurd: a .462 average with 3 home runs. Today he’s up against lefty Robbie Erlin — but wait, VictoriaB, you’re saying. This is a lefty-lefty match-up? “Ugh,” surely? No, my friends. He hits lefties to the tune of .302. And he digs playing at home in the Great American Small Park: .308 on the season. Adrian Beltre, IF: $7,200 – (Turbo) In 19 at-bats, He-Whose-Head-Shall-Not-Be-Touched has a 1.029 OPS versus Edwin Jackson. He’s also been weirdly hot, with 3 HRs in the last week. I can’t say I don’t wish (that wasn’t too many negatives at all, oh no) this was going down in Texas instead of Oakland, but I’d still give him a look today at this price. You could also look to the other side of the head-rubbing duo, Elvis Andrus ($7,800), who has an .857 OPS versus Jackson in 14 at-bats. Matt Duffy, IF: $7,200 – (Turbo) If you’ve been reading my posts for a while (hey, thanks!) or follow me on Twitter, you’ll know I’m kind of a Blue Jays fan (if “kind of” means watching about 150 games a season). I’m honour-bound to pretty much loathe all other teams in the AL East. However, I have to say that watching the Rays in their most recent series against the Jays was…kind of fun. They’re having a good time and playing well, and I think their opener-follower/starter strategy is interesting and must be infuriating for opposing managers. It was fun to watch Matt Duffy, too — he kind of owned the Jays (sadly). I like him for today’s match-up versus the Orioles’ David Hess (5.27 ERA, 1.41 WHIP, ranked 5th last on Streamonator today). It’s in the hellhole that is the Trop, but Duffy don’t care: he’s hitting .329 there this season. Ryan Zimmerman, IF: $9,200 – (Main) I like Ryan today for the lefty-righty match-up with Cole Hamels, despite Whole Camels being prettay prettay good lately. Ryan Zimmerman has also been…I’ll concede, not so prettay, but in 86 at-bats versus Hamels, he has a .726 OPS and 3 HRs. Franmil Reyes, OF: $8,000 – (Turbo) Grey told you to buy! and so am I. Generally I feel like we should start Padres hitters whenever they manage to escape from Petco (which, don’t get me wrong, is a beautiful park – I’m sure they’re happy being there, just not hitting there). And today they venture to the hitter-friendly expanses of Cincinnati to take on Matt Harvey (4.95 ERA, 1.32 WHIP). The superbly monikered Franmil was the 9th-hottest hitter in all of the land last week (.300 AVG, 3 HRs) and I think he’s going to continue the trend today. Shin-Soo Choo, OF: $7,300 – (Turbo) Here’s a cheap outfield option, for the lefty-righty match-up versus Edwin Jackson. He’s hitting LHP for .293 this season, and in a robust 33 at-bats versus Jackson specifically, he has a .993 OPS and 1 HR. Mind you, he’s been a tad cold lately, hence the price. So this is a risk. A cheap risk, but a risk. Christian Yelich, OF: $11,400 – (Main) Yelich: still hot, the 2nd-hottest hitter in the last 7 days, in fact, with a .318 average and 1 HR. That’s why he costs so damn much. Today he gets a lefty-righty match-up with San Fran’s Chris Stratton and he happens to hit righties for a sweet .308 average. And then there’s the home park factor of .311. I’m broke but I’m yelich this one from the rooftops: grab him. Mike Trout, OF: $10,500 – (Main) Sure, he’s pricey. And sure, he has been cooler of late and battling the calf thing (Trout vs. Calf FITE!). But if you want to zig where your competitors zag to avoid the chalky Coors plays, Hittertron’s second-ranked boo could be your boo also, for the match-up versus James Shields. In a mere 13 at-bats against Big Game James, Trout’s somehow managed to hit 3 home runs off him. Brett Gardner, OF: 8,400 – (Main) Here’s a slightly (with the emphasis on “slight”. Because putting the emphasis on “ly” would be weird) cheaper option for the later slate. Gardner’s been up and down hitting-wise, but I like the lefty-righty match-up today versus Felix Hernandez (.939 OPS in 36 at-bats). Weather. Wherever you are, there it is. And it’s making its presence felt today, the jerk. Rain is likely in Pittsburgh (Marlins-Pirates) and Cincinnati, the city I wish wasn’t spelled like that because I never get it right on the first go, for the Padres-Reds. So again, check your lineups, kids! It’s advice for life as well as fantasy baseball. Vegas really likes Berrios and the Twins over KC, at -209. Max Scherzer and the Nationals are a close second to beat Jaime Garcia and the Cubs, at -206. The projection is weirdly close between Sean Reid-Foley and the Jays versus Adam Plutko (whom I really want to rename Plonko and have him hit all the batters) and Cleveland: -103 to Cleveland. I love my Jays but I don’t know if they’ve Got This today. We’ll see. The highest runs projected today are in Coors (surprise!) at 11.47 (Dodgers-Rockies). Coming in at a close second, we have O.co (does anyone else think that looks like the surprised emoji: o.0? No? Just me?) Coliseum for the Rangers-A’s and the Rogers Centre for the Cleveland-Jays games: 10.19 and 10.13, respectively. I was saving that title for myself! Haha! I’d been hoarding it all bloody season, then I saw you use it in a blurb, and I was like “Greyyyyyy!” then finally decided eff it, life’s too short :-D Come on, though, I gave you credit! 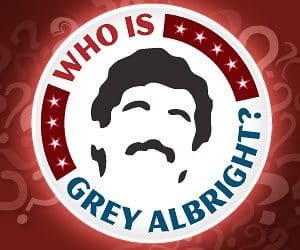 @Grey: Does this “senior Razzball official” have a splendid moustache and a name that rhymes with “bae”? Welp, Dear Reader, just got a little email update from FantasyDraft to say: “Due to the SD @ CIN game being moved up to a start time outside the contest window, that game has been removed from the Turbo Slate. Also, due to the CHC @ WAS game becoming the second game of a doubleheader with a new possibility of it starting outside of the contest window, that game has been removed from the Main Slate.” If you follow all that, you’ll know a couple of my recommendations (Scooter Gennett and Matt Harvey, I’m looking at you! [The latter with some relief]) are now out the window for your FantasyDraft lineups, but if you can play them elsewhere, go for it! A 5.40 ERA! Clearly this title is jinxed. You can have it back now.